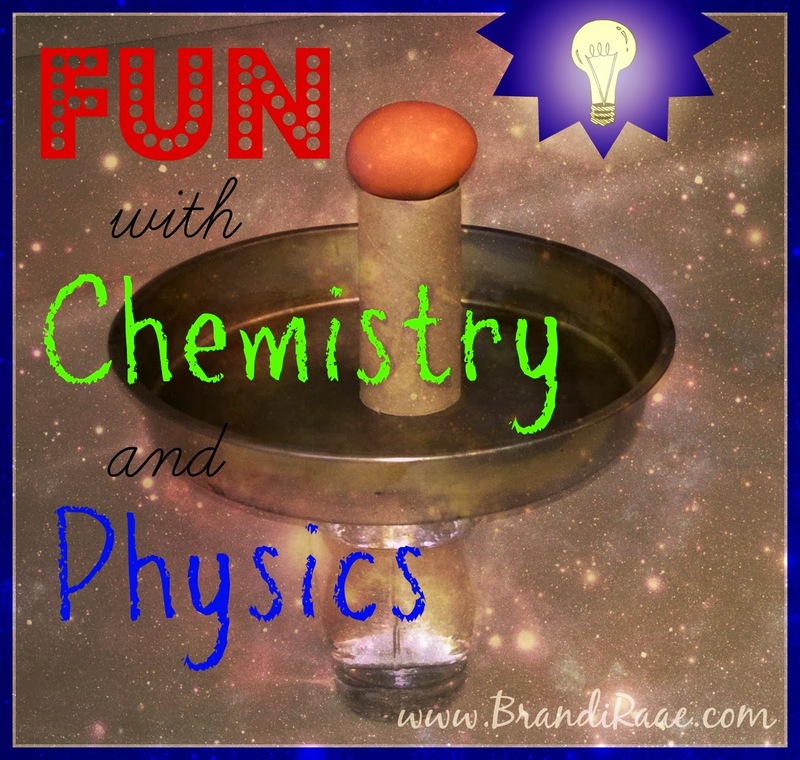 Brandi Raae: Who Would've Thought Chemistry and Physics Could Be Fun? Who Would've Thought Chemistry and Physics Could Be Fun? I was skeptical about teaching learning chemistry and physics with my elementary child, but Apologia has been great! I reviewed this book last November and was impressed. We've been continuing with Exploring Creation with Chemistry and Physics since the review. We are now half way through the book having even more fun. I thought I'd share a couple of recent experiments that my daughter enjoyed. In this one with the egg, I was really preparing myself for a big mess like a busted egg and maybe even a busted glass. But no! Everything went according to plan. I love successful experiments cuz we have been known to bomb on some. I so remember doing this when I was a kid. I even did it with a huge bucket of crayons. Round and round I'd go. And to think I could have counted it as a physics experiment. Who knew? In all honesty, there are just some things that are still kind of boring about chemistry and physics, but thank you, Jeannie K. Fulbright, for making chemistry and physics bearable and even fun. ;) Hopefully, my daughter will have an easier time of it if she takes it again in high school. What are your favorite ways to teach these subjects? Anyone absolutely love chemistry or physics?